Are you in the market for a brand-new wood chipper? When you sit down and begin scouring through your options, you will quickly discover that your options are plentiful. This is definitely a good thing, but having so many choices at your disposal can make the decision process incredibly difficult. If you do not take your time and carefully consider each and every one of your options, there is a good chance that you’re going to make the wrong decision and you’ll be disappointed in the end. So, what makes a good wood chipper? What should you take into consideration when making your choice? You’ll find out in the comprehensive buying guide below. First and foremost, you should familiarize yourself with the basics. What exactly are wood chippers and what are they used for? In basic terms, a wood chipper can be used to cut up wood into smaller pieces as well as grinding up branches and limbs. Some of the bigger models can even grind up entire trees. Of course, most consumers will invest in a smaller model, which is only suitable for branches and limbs. 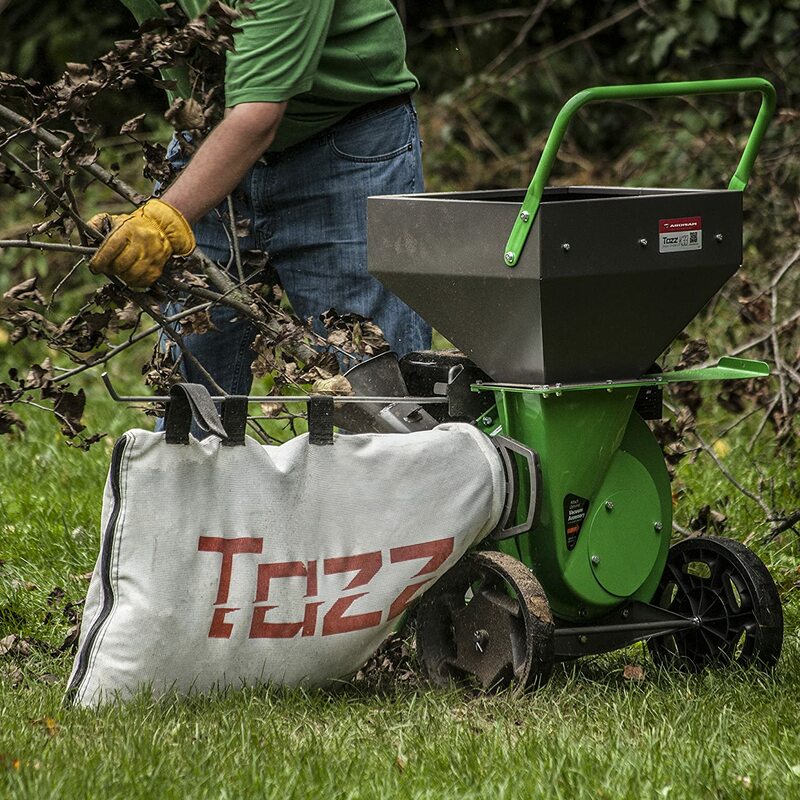 There is often a misconception that wood chippers are identical to mulchers and shredders. This couldn’t be further from the truth as some chippers will also function like shredders. However, there is a good chance that a shredder and mulcher cannot achieve the same goals as chippers. So, how are they different? First and foremost, you should know that wood chippers are the most versatile as they are capable of completing tasks that the others cannot. A wood chipper will be able to handle bigger branches as well as dry and wet branches. The wood shredder will be far less powerful than the chipper. They might look similar, but there are some distinct differences between them. Shredders are usually small, compact and quiet, and they use flails or blunt blades. They’re capable of grinding up materials until you have useable mulch. Again, wood shredders are much weaker and they cannot cut through the bigger branches. Wood shredders will be a good investment for household use, but some ordinary consumers will still need a bigger wood chipper. Mulchers are the least versatile of the bunch. These machines are pretty convenient, but they’re only going to be able to grind up the leaves in your yard. You should never attempt to place wood into a mulcher since this will damage it severely. If you need maximum power and versatility, you will need a chipper. Before you proceed to do anything, you’ll want to take the time to learn about the three different types of wood chippers. While they are capable of achieving the same goals, they’ll do so in different ways. Each type will be explored in greater depth for your consideration. Power take-off chippers are designed for farmers and professional applications. These units are not powered by gasoline or electricity, but a tractor’s drive shafts instead. These chippers will actually harness the tractor’s heft. In general, the best PTO wood chipper capable of grinding up branches up to 8″ in diameter. PTO chippers are usually equipped with an auto feed system, which means that they’ll actually pull the debris into the hopper on their own. PTO chippers are lightning fast and immensely powerful. However, you should understand that they’re not suitable for people that do not own a tractor. Gas chippers are far more powerful than their electric counterparts. If you’re dealing with larger sticks and branches, there is a good chance that an electric model will not do the trick, and you’ll need to make the upgrade to gas chippers. As the name suggests, these chippers run on gasoline. They’re available in numerous styles including heavy-duty chipper and shredders, heavy-duty chippers, and walk-behind chippers and shredders. In general, gas chippers will be able to deal with branches ranging from 1.5” in diameter to 7” in diameter. Gas chippers tend to be the most common, so you shouldn’t have trouble finding a gas chipper that suits your budget and your unique needs. If you’re only going to be dealing with smaller branches and you wish to save money, you should choose the best electric chipper shredder. If you invest in an electric chipper, you’ll also need an extension cord because it will need to be plugged into one of the electric outlets in your home. The electric chipper is undoubtedly the easiest to use. You just need to plug in the cord, power the unit on and begin chipping right away. Electric chippers tend to be lightweight and compact, and many electric chippers closely resemble a golf bag. This makes them easily portable. Another great thing about electric chippers is the fact that they’re very easy to care for as the maintenance requirements are slim to none. You don’t have to worry about changing the oil or the spark plugs. Unfortunately, electric chippers are less versatile. They can usually only deal with branches and limbs up to 1.375″ in diameters. Chipper vacuums are far different from traditional wood chippers. In fact, these models look a lot like lawn mowers or vacuum cleaners. They’re usually powered by gasoline and you’ll need to push it from behind. Chipper vacuums are a good option for people that only need to deal with pine needles and leaves. Just push the chipper vacuum around your yard, and it’ll collect the leaves in your yard and shred up the debris along the way, which will then be turned into mulch. 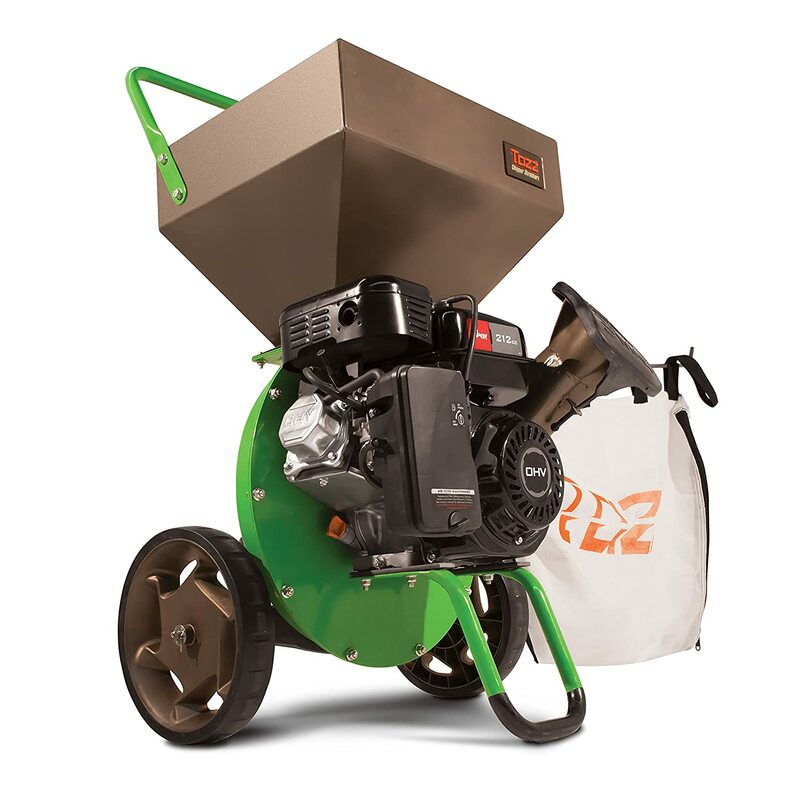 The best chipper shredder for composting may also be equipped with a chipper chute which gives you the ability to use the chipper vacuum to chop up small branches. There are also self-propelled chipper vacuums which are good choices for people that do not want to overexert themselves. Self-propelled units are also good for uneven landscapes. 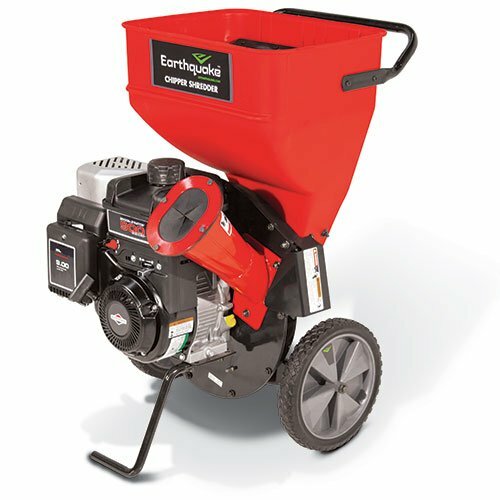 If you’re looking for the best wood chippers for home use, You should definitely consider buying a chipper/shredder combination. This type of unit will be able to chip up the wood and then shred it which will provide you with useable mulch. While it depends solely on the model that you select, some of these units can handle branches up to 3″ in diameter. The chipper/shredder combo might not be suitable for professional or commercial use. 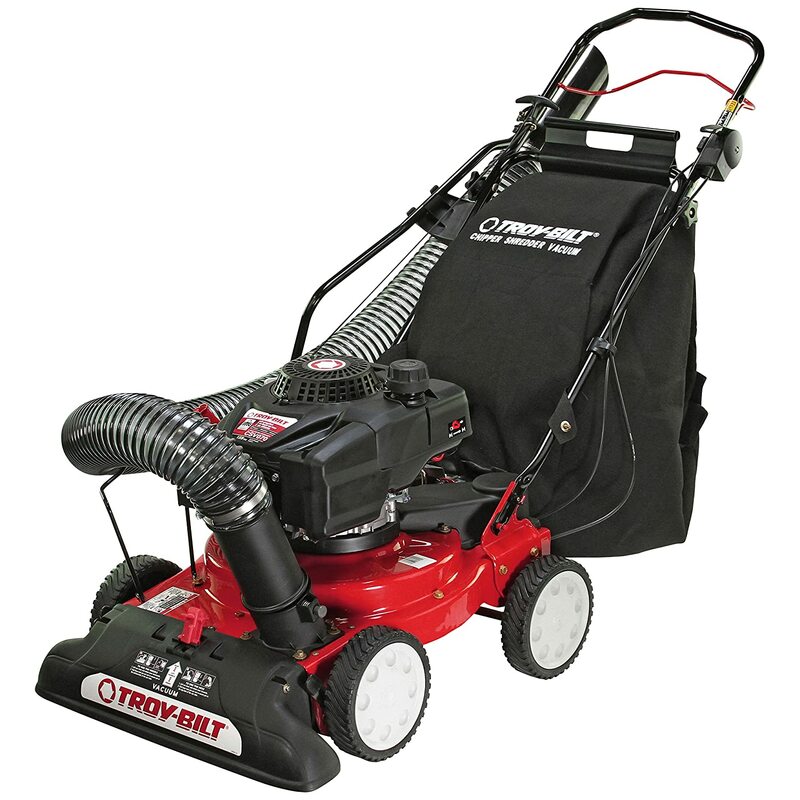 Nevertheless, if you just want to clean up your yard, this will be a good investment for you! Before attempting to buy a chipper, you’ll want to sit down and think about your own personal preferences and needs. Some individuals will be forced to deal with huge branches. Others will not. You need to find out exactly how you’re going to be using the product, before moving forward. Below, you will learn more about the personal factors to consider when investing in a new wood chipper. First and foremost, you should consider your budget. Some wood chippers are very expensive, while others are surprisingly affordable. Even if you’re working with a limited budget, there is a good chance that you’ll be able to find a cheap chipper that suits your needs. Before moving forward, you should figure out precisely how much you can afford to spend and how much you’re willing to spend. Do not feel obligated to overdo it, as some cheaper chippers will definitely do the trick. While you’re at it, you’ll want to consider the specific type of debris that you’re dealing with. Do you plan on cutting down trees in your yard in the future? If so, you’re going to need a bigger and more powerful chipper. However, if you’re only dealing with small limbs and branches, you’ll be fine with the best electric wood chipper. Gas models are best for bigger branches. There is no doubt that some people are more active than others. If you tend to be lazier than others, you should consider investing in a more convenient chipper. Some units are equipped with handles and wheels, which make them incredibly easy to move from location to location. At the same time, electric units require far less maintenance than the alternatives. If you want to keep your activity level to a minimum, you should definitely think of buying an electric model; if you’re willing to get your hands dirty, you’ll be happy with a gas model. Another thing to consider is how often you’re going to need to use your chipper. Will you be using your chipper for personal purposes or professional reasons? Not all chippers are suitable for professional use. However, there is a good chance that a professional wood chipper will work exceptionally well for personal purposes. Figure out how often you’re going to be using your chipper, then choose the best wood chipper shredder that suits your needs. If you’re only going to be using the chipper once or twice a month, you’ll be fine with a cheaper machine. If you intend to use the machine pretty much every day, you need to buy a more powerful and more durable machine. If you fit into the latter category, you’ll want to make sure that you are willing to spend a little more. After you’ve figured out precisely what you need, it is time to begin looking at your options. There are tons of excellent chippers on the market, but they’re all different in numerous ways. To ensure that you get the best machine for your money, you will have to carefully inspect the technical specifications of each unit. So, which specifications matter the most? You’ll find out below. The chipper capacity is undoubtedly one of the most important things to take into consideration. This specification tells you exactly what type of branches the chipper can handle. If you’re going to be handling large branches, you’ll need a chipper with a bigger capacity and vice versa. As the capacity increases, there is a good chance that the price will increase. It is also a good idea to check out the blades and knives. As you probably have already figured out, this is the specific component that is used to grind up the wood. You need to choose sharp blades that are capable of cutting through the wood without any trouble. At the same time, it is a good idea to make sure that the blades are easily accessible to ensure that you’re able to remove and replace the blades without too much trouble. Of course, if you want to get the most out of your money, you should invest in self-sharpening blades, which will actually sharpen themselves over a period of time. This will increase their lifespan while also simplifying the maintenance requirements. It is in your best interest to choose self-sharpening blades. You’ll also need to think about the reduction ratio of the machine, which will usually be designated as a 10:1 or 8:1 ratio. This is an incredibly important factor because it tells you exactly how efficient the machine is at reducing yard waste. With a 10:1 ratio, the machine will be able to turn 10 bags of debris into a single bag of processed material. This feature can tell you how much mulch you’ll end up with at the end of the day. Be sure to choose a ratio that best suits your needs. There are tons of companies that manufacture wood chippers. There is a good chance that you’ve heard of some of these companies, but others might be completely unknown to you. It is entirely possible for an unknown company to make good equipment. However, you should do your best to make sure that you choose a manufacturer that is trustworthy and respectable. After all, when something goes awry with your machine, you’re most likely going to need assistance from the manufacturer. If you choose a bad company, you might not get the help that you need. Therefore, choose a good company and you can rest assured knowing that they’ll always be there to help you out! It is also pertinent to consider the size and dimensions of the wood chipper, as some people do not have a huge garage and plenty of space to play around with. Do you have plenty of room to store the unit without clogging up too much space? Make sure that you choose a chipper that will conveniently fit in your garage. This ensures that you do not have to leave the machine sitting out in the rain. This will also keep it protected from thieves. Most of the top branded wood chippers come with a debris collection bag. While this bag is not a necessity for operation, it will keep the debris contained. The bag is designed from quality, durable materials and will range in size from 2 to 5 bushels. While some people will find the 2-bushel bag suitable for their needs, the 5-bushel bag will reduce the time it takes to complete a single chipping job. What this basically means is the 2-bushel bag will need to be emptied twice as often as the 5-bushel bag. There is one downside to the 5-bushel bag and that involves the extra weight. Pulling, tugging and lifting a completely full 5-bushel bag will be more difficult than emptying a 2-bushel bag. So, to avoid this issue it will be in your best interest to empty the 5-bushel collection bag when it reaches the half fill mark. There may very well come a time when you feel the need to transport your chipper over a long distance. Perhaps you’re going to allow your friend to borrow it for a little while? Or, perhaps you need to move the unit to the next job site? If you do not have a unit that can be towed, you’ll need to lift it up and put it into the back of your truck. Therefore, the weight of the unit will prove to be vital. If you’re going to need to lift the machine at some point or another, you’ll want to choose one that is moderately lightweight. Nevertheless, you’ll most likely need a helping hand or two to get it into the back of your truck. If you are rather forgetful, you’ll want to consider choosing a unit that requires far less maintenance and steer clear of very needy machines. Some units will require frequent oil changes, and this is something that you may not want to deal with. Instead, an electric model will be so much easier for you. If you do select a unit that requires oil changes, you need to select one that has a low oil sensor shut off. If the oil begins running low, the unit will automatically shut off, which will help protect the engine from problems. Either way, be sure to consider the maintenance requirements and choose one that best suits your lifestyle. Portability is extremely important when it comes to investing in a wood chipper. While some of the larger wood chippers will come with a tow bar for tractors, lawn mowers, and other ATVs to tow, smaller chippers typically do not include a tow bar, which means you will need to rely on the wheels and handle to transport them from place to place. If you are going to be investing in an expensive but smaller chipper shredder, you need to make sure that it is equipped with an ergonomic handle and large wheels. 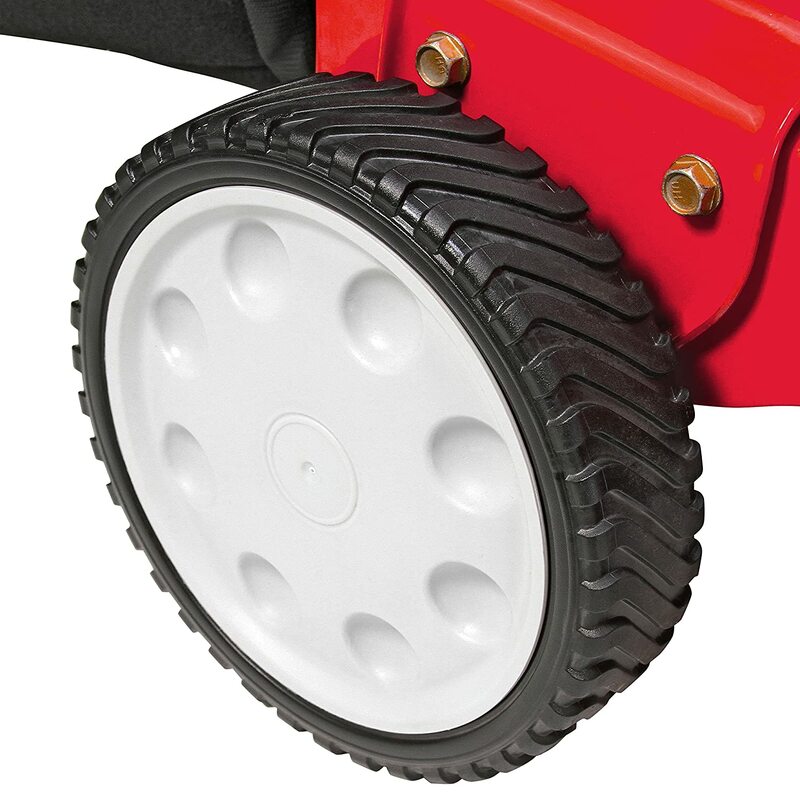 It is also important to consider the durability of the wheels and how difficult it will be to replace them. Most manufacturers will offer replacement parts including wheels for their chippers, so you should not have any issues accessing them. One of the most important factors that must be considered when investing in a wood chipper is the warranty. Most manufacturers will back their chipper with a money back guarantee and a decent warranty. While some companies will offer a 1-year warranty, others will offer a more extensive warranty which can last up to 10 years. One thing for sure is that you will want to avoid brands that only offer a limited warranty on their wood chippers. If you are considering to invest in a chipper with a limited warranty, be sure to read the warranty thoroughly before making your final purchase. Focus on the engine warranty because this is typically the most expensive component of the chipper. When most consumers invest in a product, they will set around and stew on the assembly and installation processes. 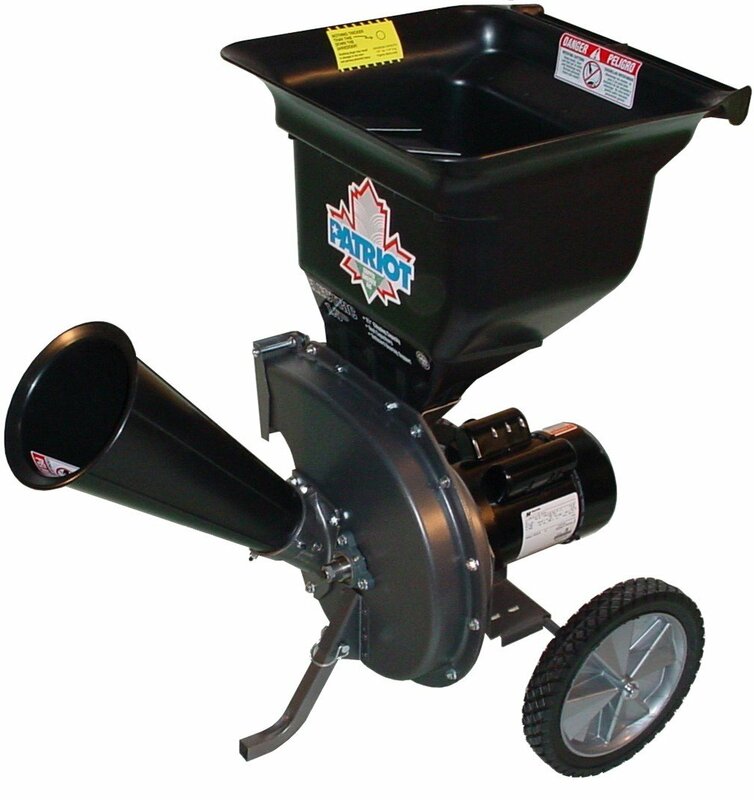 Wood chippers are no different as they will require some type of assembly regardless of the size or design. 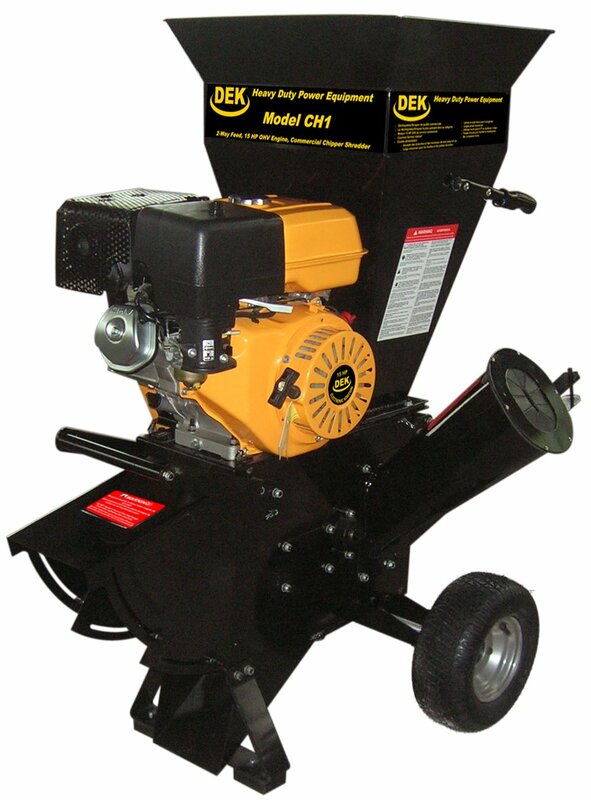 Luckily, there are some companies that ship their wood chippers to customers fully or partially assembled. However, in most cases, the top brands will come 90 percent assembled, so you should not need to spend more than 20 minutes to complete the assembly. 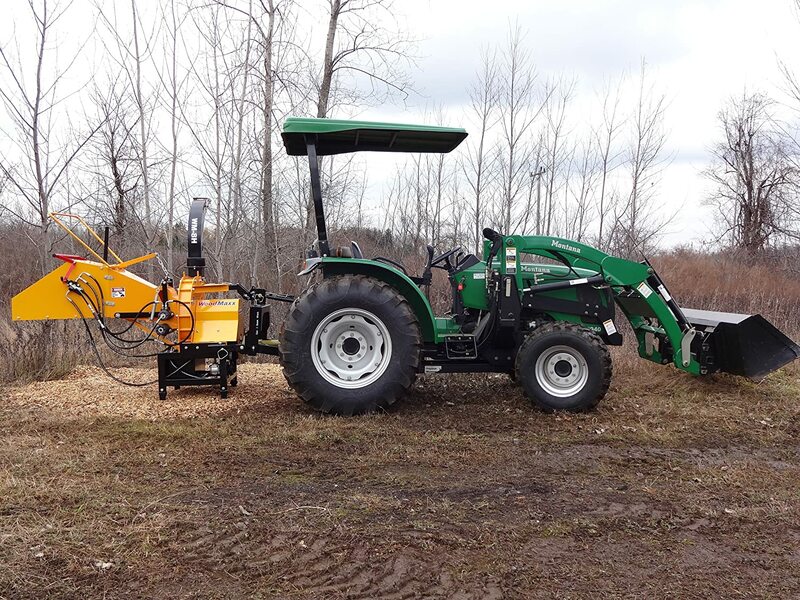 Auto-feed chippers work more efficiently than gravity fed models. The auto-feed chipper is equipped with large rollers that automatically pull the branches and twigs into the chipper head. This action gives you some freedom to leave the chipper unattended for a few seconds to collect more branches. Not only will the auto-feed action ensure a speedier shredding process when compared to gravity-feed chippers, but it will also make your job easier. It is important to note that this feature may not be available on smaller or cheaper models. However, if you have the extra cash to invest in a wood chipper, it will be in your best interest to choose a brand with a hydraulic in-feed system. If you are an advocate for the environment, you already know the dangers of emissions produced by gas-powered machinery. While this issue does not play on everyone’s mind, environmental activists take it very seriously. Wood chippers are just like other types of machinery that will produce harmful emissions when powered by gas. To avoid these dangerous emissions, you will need to invest in an electric-powered wood chipper. 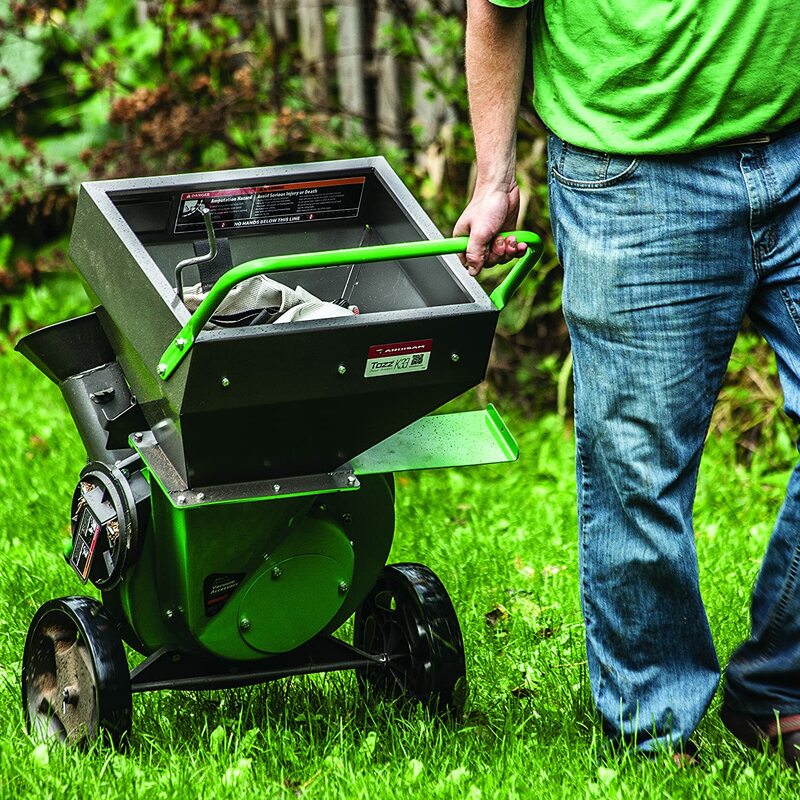 Electric-powered wood chippers can keep up with the best gas-powered wood chippers. So, do not allow yourself to believe that you are going to receive a lower quality chipper just because you are investing in an electric model. However, it will be in your best interest to conduct extensive research and focus primarily on the features of the gas and electric-powered chipper before making your final purchase. Just in case you didn’t already know what a hopper is, this is the component of the chipper where the branches, twigs, and limbs are loaded in. 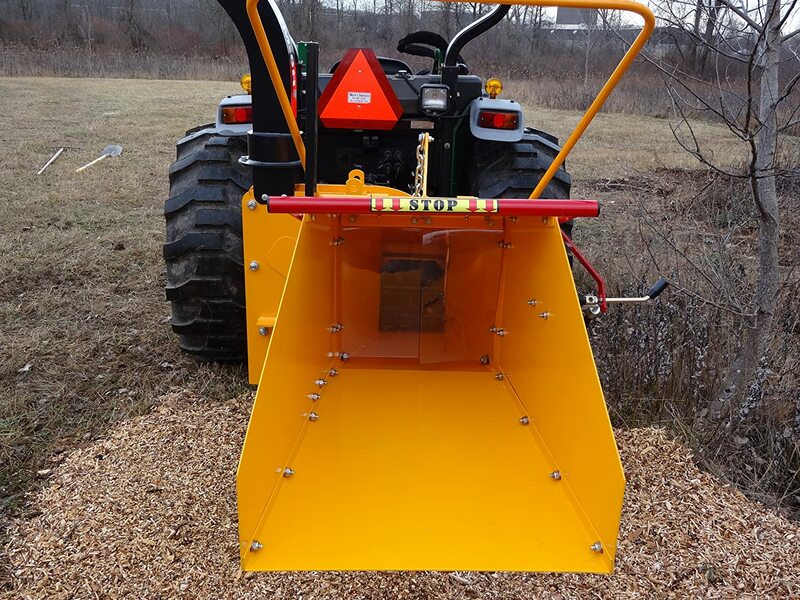 Throughout your search for the perfect wood chipper, you will find that the hopper comes in a variety of different shapes, sizes, and even locations. In addition to this, some hoppers even feature a tilt-down operation which allows you to lower the hopper all the way to the ground so that you can rake in leaves and grass. If you have a large yard that gets covered in leaves and grass debris, this is without a doubt a feature that you want to consider. Instead of having to rake the leaves and grass into a pile, pick them up, and put them in the hopper, you can literally just rake them right into the hopper. Not only does this make the process so much easier, but it also gives you even more usable mulch that you can utilize throughout your yard. Not only is the engine the main component that drives the chipper, but the horsepower of the engine also determines the capabilities that you are going to be provided with. Of course, more horsepower means that you are going to be able to shred larger and stronger branches, limbs, and twigs. Choosing the horsepower that you need really depends on what you are using the device for. 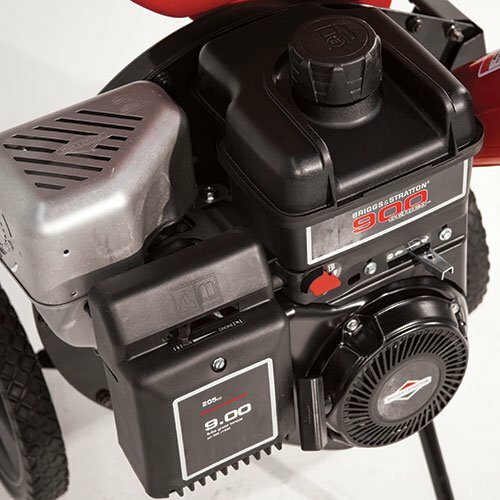 If your yard is covered with large branches, twigs, and limbs, you probably want to choose an engine with a good amount of horsepower so that it can provide you with the torque that you need to easily chew right through the debris. In addition to this, gasoline chippers are capable of handling larger and sturdier debris, so this is something else that you might want to consider when shopping for a chipper. The debris is not only sharp and dangerous, but it can be extremely rough on your machine. This is why it is imperative that you choose a chipper that is only constructed with the most durable materials. You always want to look for a model that is constructed of thick, welded 10 to 16-gauge steel. Make sure that you avoid any model that is lightweight and made of sheet metal because there is a good chance that these models are not going to stand up to the test of time. When looking for a wood chipper or shredder, you will hear the term shredding chamber over and over again. This is actually the chamber where the branches, twigs, and limbs are turned into mulch. Unfortunately, it doesn’t matter how durable or reliable of a chipper you choose, there are going to be times when the device experiences clogging. These clogs will need to be cleared immediately so that you can resume operations right away. The only way to clear these clogs is by accessing the shredding chamber and jamming a stick in there to unclog the stuck debris. With all that being said, it is imperative to choose a machine with an easy to access shredding chamber. This feature not only makes clearing clogs much easier, but it will also make it safer in the process. When you are shopping for your new wood chipper, you will probably notice that the best commercial wood chipper will usually come with tow bars and trailer hitches. If you plan on opening a lawn cleaning business, a tree cutting business or you just happen to have a huge yard, this is one feature that you are going to need to consider. These devices allow you to easily hook the chipper to a tractor, truck, lawn mower, or ATV. In return, this makes for extremely easy transport. When you consider that most commercial chippers are extremely heavy and large, these features might be absolutely necessary for the desired application. When you are shopping for your new chipper, you will notice that some models are equipped with a pull string starting operation, whereas some come with an automatic start. The pull string operation operates just like a push lawnmower, as you have to prime the engine and then pull the string until it starts. While these are reliable and old systems, they really open the door for a lot of problems. The string could get frayed and snap or you could find yourself in tight quarters, which will make starting even harder. This is where the automatic start button can come in handy. Not only does it make the starting process much easier, but it also eliminates all those potentials for a breakdown. Some people prefer the automatic start systems, where others prefer the pull start. Both systems are fairly reliable. At the end of the day, the ultimate decision will come down to which you prefer. This buying guide is designed to help consumers shop, choose and invest in a wood chipper, and reducing the risk of regret after purchase. There are so many factors to consider when it comes to investing in a chipper, which has all been mentioned in this article. This is your choice to make, so be sure to think it through, do extensive research and ask for recommendations from the experts. Regardless of the price, a loss is a loss. To avoid this risk, be sure to only consider a chipper with a decent warranty, premium-grade components, and durable construction.